Rockstar responds to one terminally ill gamer in the Netherlands with a unique opportunity to see Red Dead Redemption 2 before it launches later this month. Red Dead Redemption 2 won't be out for another few weeks for the general population. But one terminally ill gamer got to play it before anyone else courtesy of Rockstar. The Dutch site Gamersnet has the story of Jurian, who has suffered from the rare disease Neurofibromatosis Type 2 since 2004. Jurian wrote that he has survived "a long time" with the disease, but unfortunately doesn't have much longer to live. Knowing that time is short, Jurian's father reached out to Rockstar Netherlands and requested an early copy of the game. Rockstar responded by sending two employees to Jurian's house, where they offered a private demonstration. Jurian ultimately only got to spend the afternoon with Red Dead Redemption 2, but he nevertheless wrote to Gamersnet to say that Rockstar had done "something beautiful" for him. Rockstar Netherlands gave a terminally ill gamer a chance to experience Red Dead Redemption 2's incredible graphics for themselves. Like the rest of us, Jurian had been eagerly awaiting Red Dead Redemption 2 over the course of its lengthy development. It's a shame that he didn't get to play it in its entirety, but at least he got to try it, however briefly. 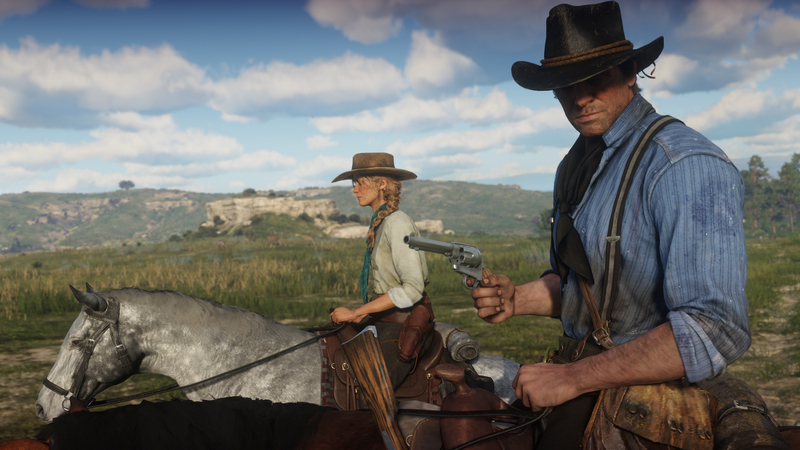 Rockstar has been actively showing Red Dead Redemption 2 in the lead up to its release. We got an early hands-on look at it last week, giving us an opportunity to see how you can spin your revolver, among other observations. The much-anticipated open world western will be coming soon to PS4 and Xbox One. Look for Red Dead Redemption 2 on October 26. Tagged with News,	PlayStation 4,	rockstar,	Xbox One.